It’s been so hard for me. I had the cocky confidence, well, I’ll do it like I do a movie…it’ll be a movie in six parts. Turns out, it’s not. For me, it has been very, very difficult. I’ve been struggling and struggling and struggling. I only hope that when I finally do it—I have until the end of 2016—they’re not crushed with disappointment because they’re nice people and I don’t want to disappoint them. I am doing my best. I fit it in between films, so it’s not like, no film this year, I’m doing Amazon. It’s a job within my usual schedule. But I am not as good at it as I fantasized I might be. True, the reporter immediately follows this up by asking if this isn’t merely the same insecurity and anxiety that has fueled every artistic endeavor Allen has ever undertaken. It’s a reasonable question, and Allen actually gives it some weight before immediately returning to fretting about the apparently inexplicable process of making a half-hour show. I hope it’s just the anxiety again, but this is hard. I’m like a fish out of water. Movies I’ve been doing for decades, and even the stage stuff, I know the stage and have seen a million plays. But this…how to begin something and end it after a half an hour and then come back the next time. It’s not me. Surely, the Amazon creative team is resting comfortably tonight, knowing that its investment will be paying dividends in therapy visits and psychoanalyst appointments for its star for at least the next year. 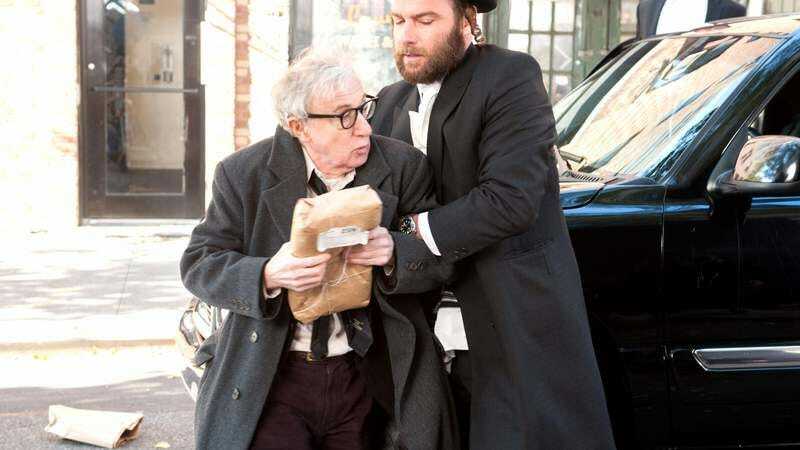 Which will then probably be the impetus for a subsequent non-Amazon-sponsored Woody Allen movie, that will go on to win awards that Allen will not show up to accept.